Growing new plants from small pieces, or cuttings, of the parent plant is a common form of plant propagation and an economical way to increase your plants. 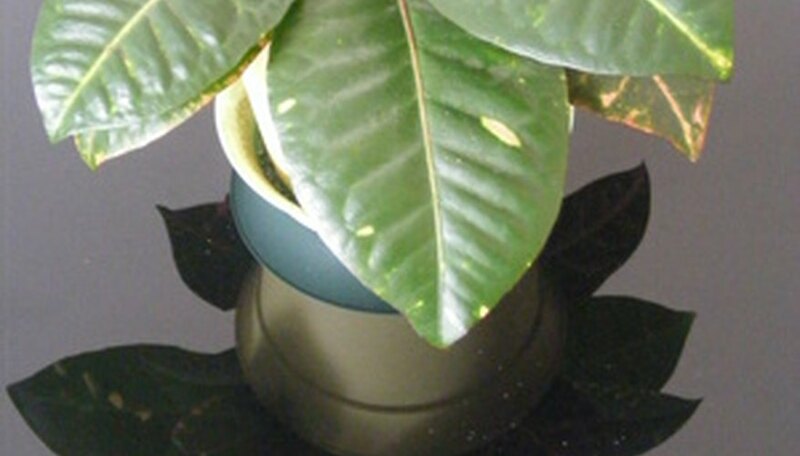 Various types of plants grow from cuttings including houseplants, flowers, shrubs and trees. The kind of plant cutting taken depends on the plant, and many plants can be propagated using different cutting methods. Cuttings grown from the stems of parent plants are divided into various types. This includes herbaceous cuttings of non-woody houseplants or perennials, softwood cuttings taken from new growth on a woody plant and hardwood cuttings taken when the woody plant is dormant. Small sections of the plant’s stem is cut, covered with rooting hormone and placed in a humid growing environment until roots form on the stem cuttings. Plants you can grow from stem cuttings consist of coleus, chrysanthemum, geranium, rubber plant and croton, as well as evergreens, deciduous shrubs and trees. Leaf cuttings work best for growing new plants from plants with supple, fleshy foliage, which includes mostly indoor plants. The leaves of the plant are cut with (or without) the petiole, slit at numerous locations on the leaf veins or the leaf is cut into several sections and then grown in similar methods as stem cuttings. The new plants form roots from the leaf and the leaf decays or is removed, once new growth begins. Plants you can grow from leaf cuttings consist of African violets, begonias, snake plant, jade plant, Swedish ivy and cactus. Root cuttings taken from plants during the dormant season are placed in cold storage for three weeks and then planted in growing medium or placed outside just below ground level. The cuttings produce new shoots and roots and eventually new plants. Root cuttings gathered while the plant is actively growing do not require any cold storage period. Holly bushes can be grown from root cuttings. Growing plants in water from stem or tip cuttings is possible with varieties like African violet, begonia, creeping fig, baby tears, English ivy, impatiens, heart leaf, wandering Jew and Christmas cactus.